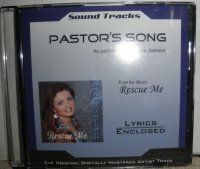 Who Provides Pastoral Care for the Pastor? "Pastor, can I stop by your office and talk with you?" Those of us who serve as pastors have all received phone calls that begin with a similar question, and each time we know that we are about to assume the role of a “counselor.” It is part of our calling as caring shepherds. We want to help, and we do our best to offer sound Biblical counsel. Sometimes we get to experience the joy of knowing that we have given encouragement to a person who is hurting. Other times the problems run deeper, and not all of us feel adequately equipped to deal with the complex human issues that confront us. At such times we are not too arrogant to refer the person to a professional counselor who is better skilled in dealing with certain problems. But we are still pastors. The burden of our hearts is to shepherd our flock, sharing their joys; their hurts; easing their burdens; and helping them in their struggles. We sit beside them or across the desk and listen to their stories of abuse, or loneliness, or stress, or marital infidelity, or financial trouble, or conflicts in the family or on the job. We deal with the distressed, the disillusioned, the dejected, and the depressed. Our goal is to open the Scriptures and help restore their faith, hope, and joy. We know that life can be hard for human beings, including Christians. So when our people need a counselor to talk to we want to be there to provide a listening ear and pastoral care because they need it. But what about the times when the pastor needs pastoral care? What if the shepherd needs shepherding or the counselor needs counsel? Are we pastors so infallible that we never experience distress, disillusionment, dejection, or depression? Do we exist on a level above the human condition so that we never struggle with loneliness, stress, conflict, anger, or temptation? Those are alarming statistics. And what makes these findings even more disturbing is that the survey, like most others, was probably conducted confidentially. That means that the pastors who responded are very likely struggling in secret. When members of our congregation are struggling with serious life issues we expect them to get help, because we know that if their condition continues unchecked it will lead to more serious trouble. 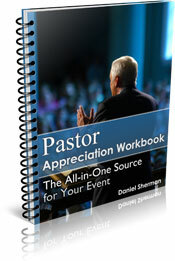 So why should it be any different for a pastor? It shouldn’t be. The pastor’s need for pastoral care must not be ignored or neglected. It should be respected by both the pastor and the congregation, and a plan should be in place to help him stay healthy and strong. Spend adequate time alone with the Lord in prayer, meditation, and personal Bible reading (not just for sermon preparation). It is also helpful to express thoughts, feelings, or prayers in a personal journal. The Psalms reveal how David understood the value of releasing the distresses of his mind through the pen in his hand. Avoid isolation. Every pastor needs friends, even within his church, with whom he can have fun and do “guy things.” It is also important to have at least one close friend, within or outside the church, whom he can confide in and with whom he can share his innermost struggles and feelings. This needs to be a person who understands him, who will not judge him, and especially one who will keep private matters confidential. Like David, every man needs a Jonathan in his life (Prov. 17:17; 18:24; Eccl. 4:10). Have a hobby. Pastors need a “diversion,” an activity that removes their minds and bodies from the pressures of ministry for a time in order to relieve the mental and emotional stress. Manage time well. Pastors have the luxury of keeping a relatively “fluid” schedule, but they can also put undue pressure on themselves if they aren’t disciplined with their time. It becomes necessary to prioritize pastoral responsibilities according to essentials. This helps avoid getting stressed out by trying to accomplish more than time allows. But be certain to reserve adequate and undisturbed hours for study and sermon preparation. Set realistic life goals and work toward them. God does not want His servants to become bogged down in the mundane, distracted by the petty, or worn out by mere busyness. He wants His shepherds to accomplish something of kingdom significance (Acts 20:24; 1 Cor. 1:1-9). Seek counsel if necessary. If a pastor is suffering from the symptoms of stress, burnout, depression, or other negative conditions, he needs get help, preferably from a qualified Biblical counselor. There is no shame in seeking help (Prov. 24:6). Pride comes before a fall. The local church, beginning with the Board, needs to recognize their own responsibility in protecting the mental, emotional, and spiritual health of their pastor. The budget should include provision for him to attend one or two conferences or retreats each year where he can find refreshment and renewal. This should be in addition to his regular vacation time, not part of it. Respect his study time. Apart from an emergency, he should be allowed to have undisturbed blocks of time to prepare for preaching and teaching. If he is weak in the pulpit the whole church will suffer. Don’t demand more from the pastor than he can give. He is human and imperfect. He needs your prayers and encouragement as much as you need his. Understand that he can’t please everyone, and sometimes the person he won’t please will be you! Consider granting the pastor a sabbatical. This is not as common among independent churches as it is in denominations, but it is growing in practice. Every seven to ten years the pastor should be offered a paid leave of ten to twelve weeks (not including regular vacation time) to seek spiritual and mental refreshment, do research or writing, travel, or pursue other activities that will “disconnect” him for a time from the routine demands of ministry and provide him a time for renewal. Even Jesus realized the importance of stepping away from the ministry for a time. Pastoral ministry is rewarding. But it is also rigorous. And even Satan knows that the church will only be as spiritually healthy as its pastor. That is why he wants to keep pastors discouraged, ineffective, feeling like failures, and, if possible, utterly destroyed. But God is the great Encourager. He encourages pastors by His Word and by the support and love expressed to them by individual Christians (Acts 28:15; 2 Tim. 1:16-18). And that is why pastoral care for the pastor must be seen as an essential responsibility shared by both pastor and congregation. The result will be a healthy and blessed church. If you appreciated Steve's article on pastoral care, you may also find the following pages helpful. The statistics in this article about pastoral care came from a book by Wes Roberts, Support Your Local Pastor, (Colorado Springs, CO: NavPress, 1995) p 19. This article originally appeared in Voice magazine in its July-August 2006 issue. This article is used with the permission of the author and Voice magazine.